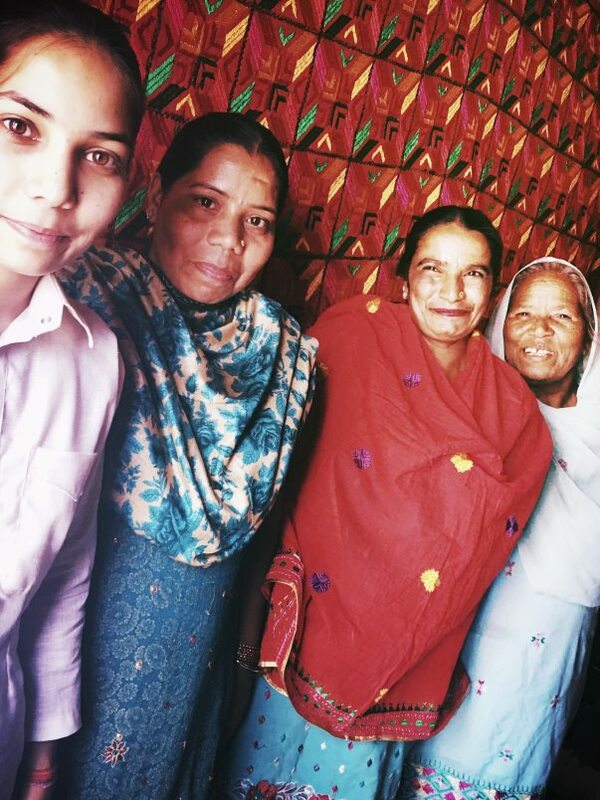 Virsā is a compassionate social enterprise commited to helping Rural Women Phulkari Artisans & their traditional Handicraft - "Phulkari". Due to the advent of Machine-Made Embroidery, these Artisans & their livelihood is at significant risk. 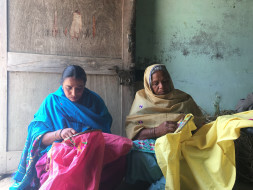 Phulkari is not just a source of income for them, it's also central to the cultural heritage of South Asia. Some tapestries can take anywhere from 2 months to Several years to Embroider! Help run Health Care and Awareness workshops around Plant-based Nutrition, Culinary Coaching, Recipe Development and Cooking Demonstration - all in an effort to promote non-inflammatory, oil-free, dairy-free cooking with an emphasis on seasonal vegetables and fruits. Unfortunately, traditional cuisine is being rapidly replaced by convenient and easy to buy 'junk food' and chronic conditions such as Insulin Resistance, Pre Diabetes/Diabetes Type II, Cardiovascular disease, Arthritis, Thyroid dysfunction, Alzheimer's disease etc are on the rise. Every work has its occupational hazards. Phulkari Artisans suffer from increasingly diminished vision due to minute needlework and poor lighting conditions in the Villages. 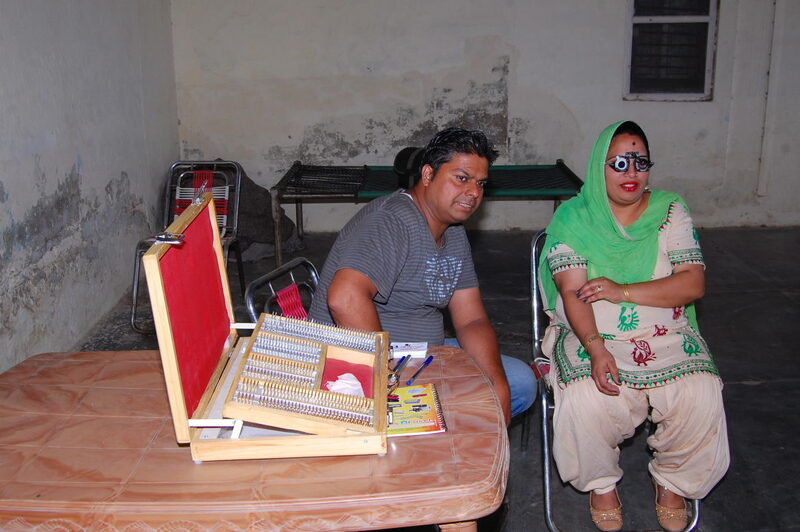 Funds raised will be used to set up Vision Check-up Camps and provide Optometrist support to the Artisans. Similarly, another common hazard is Spondylitis and Musculoskeletal issues of the Back. Furthermore, Virsā intends to extend its support to Women’s Health & Wellness issues. Example: Our younger rural artisans do not even have access to Sanitary Napkins/Pads etc. Or, some may still use “Neem Datun” instead of Toothpaste & Toothbrushes. Fundraising Timeline: Winter 2018 - Spring 2019. To know more about Virsā, it's Founders and its Activities - please visit us @ www.virsā.com and/or https://thevirsafoundation.org. If you would like to support our efforts OR visit our Artisans, please write to us: virsa2017@gmail.com. 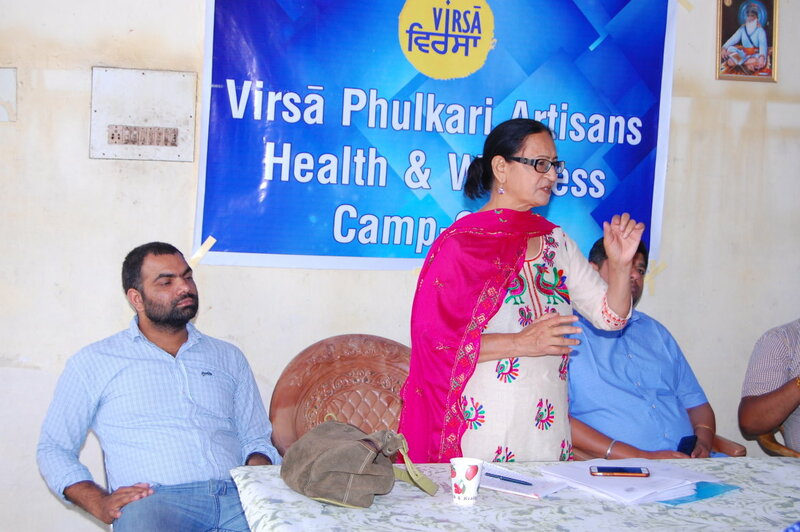 Virsā The Heritage held a 3rd Health Care Camp in our pilot village "Bhaankar" - in district Patiala of the State of Punjab, India on July 10, 2018. 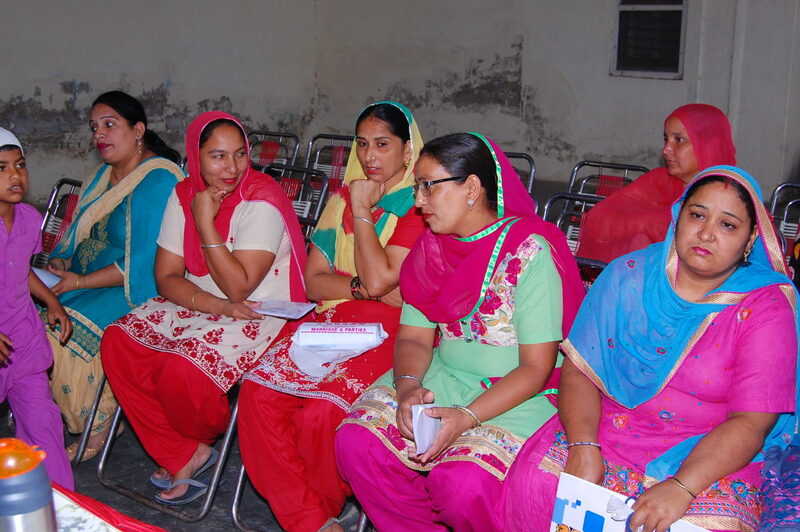 During this camp, additional 19 Rural Phulkari Artisans came forward to have their Lipid Profile testing done. 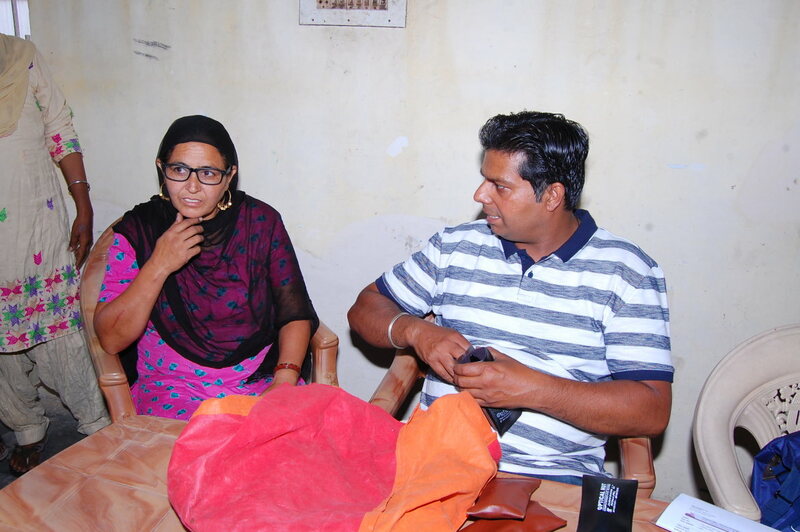 We arranged for a Phlebotomist who helped us in collecting samples and the results were shared with the Ayurvedic Practitioners, who offered consultancy free of cost and also prescribed medicines to the Artisans. The prescriptions were paid for by Virsā Fundraiser. 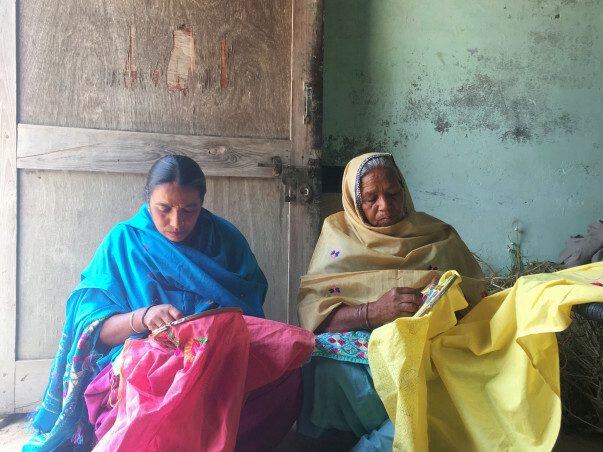 This 2nd round of testing provided another dismal glimpse into health status of Phulkari Artisans that comprised our total sample of 41 so far. At least 1 in 3 Artisans tested have abnormally High Cholesterol Levels and especially, the younger Artisans (25-35 years of age) have signs of Anemia and Iron-Deficiency or Iron-malabsorption. 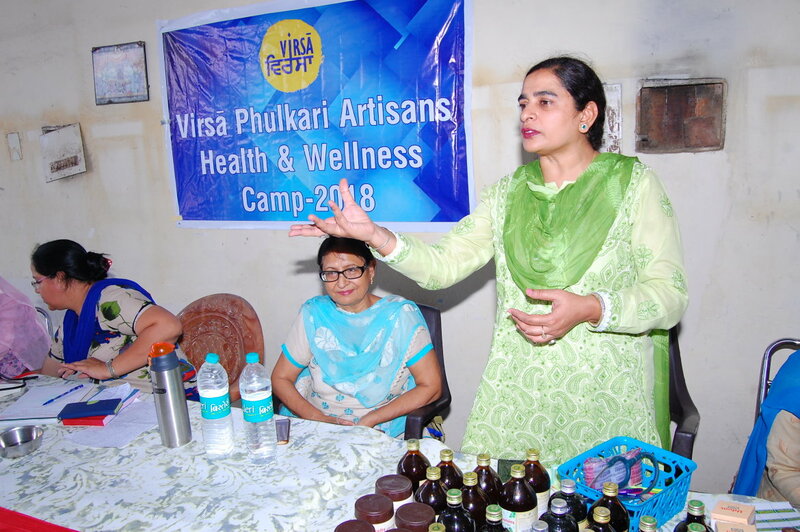 Following these test results, our Ayurvedic Practitioners, Independent Advisor Dr Mrs Gurupdesh Kaur and Virsā Co-Founder Dr Mrs Sushma Jaswal had a detailed session with the Village Bhaankar Artisans regarding their Diet and Nutrition. It was concluded that Virsā will collected a Daily and Weekly Diary of the Artisans Meal-Portions, Level of Salt added to meals and what they had for Breakfast, Lunch, Dinner, Snack, Any beverages (especially dairy based Lassi etc). This information will be collected to provide input for the consulting Ayurvedic Specialists as well as to devise a targetted plan to help Artisans understand how and where they can cut back on excessive Dairy, Oil, Salt etc in their preparations. This will form the basis for Virsā Health Camp No.4 which is expected to be held in August-Sept 2018. Team at Virsā generously thanks all the donors for their contributions and a big Thank You to www.Milaap.org - without their support, this fundraiser would not have been possible. 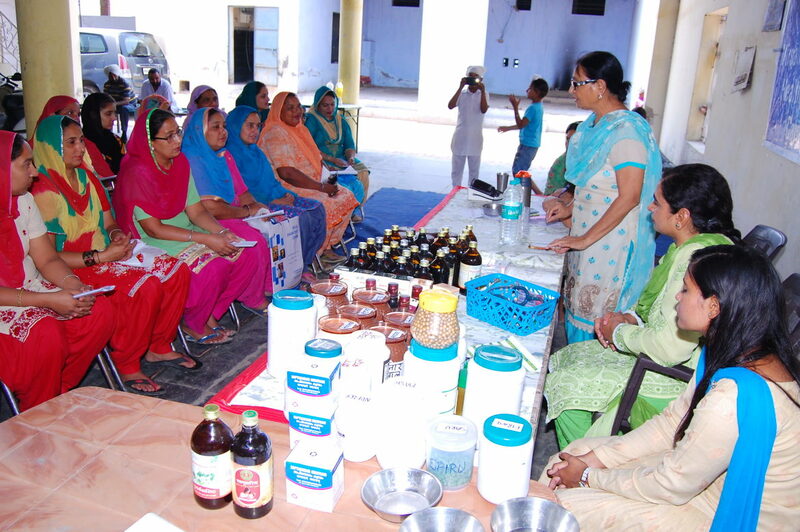 Our 1st Health and Wellness Camp was held in Village Bhaankar (near Patiala, Punjab, India). The "Diagnostic" camp, which started on May 12, impacted ~40 Rural Phulkari Artisans including their families, and lasted 3 full days. It ended on May 14. 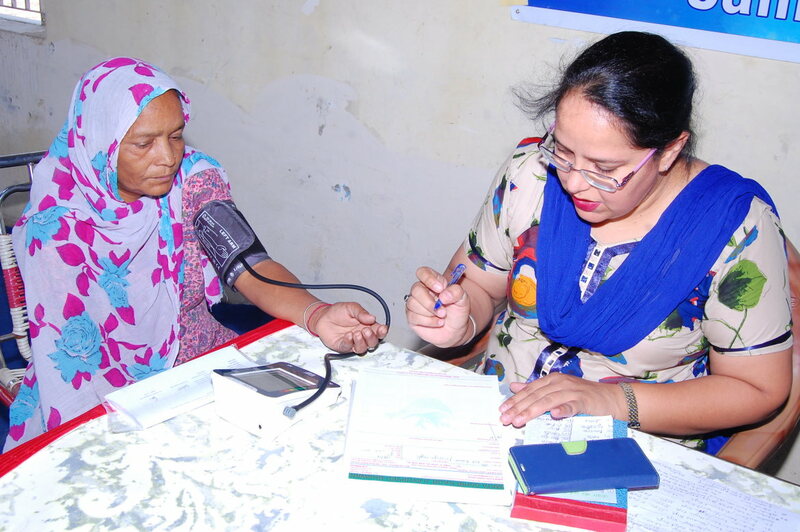 We partnered with a team of Optometrists & Phlebotomists in order to run Vision Checks, measure Blood Lipid profiles, Cholesterol levels, Full Anemia Panel and TSH (to diagnose any Thyroid issues). We also collected initial understanding on artisans who said they needed specific support on account of Carpel-Tunnel Syndrome (wrist and hand pain), Spondylitis in the neck and back (owing to decades of needlework especially in ergonomically suboptimal work conditions) and Migraine/Migraine-like headaches. Since we spent these days preparing for and running the camp, this was also a great opportunity for participant observation. It was observed that meal portion sizes are very large and that the Artisan-families, which are primarily dependent on agriculture and animal husbandry, consume large quantities of dairy, dairy-based products, sugar, salt and vegetable/dairy-based oils and ghee. Their preferred mode of cooking is frying and sautéing in large quantities of vegetable oil or ghee (clarified butter). Initial testing showed a dismal health status for most of the Artisans. Nearly 1 in 3 showed low Hemoglobin Levels, signs of Anemia and/or other related Iron deficiency disorders. More than 80% of the sample tested High on Cholesterol levels. Some exhibited signs of Hypothyroidism, with their TSH levels being very high. These observations were woven into the Nutrition Awareness part of the a Follow-Up Health Camp, which was held on June 2nd. With the help of Ayurvedic Practitioners, knowledge was imparted to the artisans on this day regarding the need for Portion Control and especially, the role that Dairy/Dairy-based high Fat products play in Obesity, Insulin resistance, Type 2 Diabetes/Adult onset Diabetes, Osteo Arthritis, Estrogen dominance/Hormonal disturbances, Fertility problems, PCOS/Poly-Cystic Ovarian Syndrome, Sluggish Thyroid and several other Auto-Immune disorders. 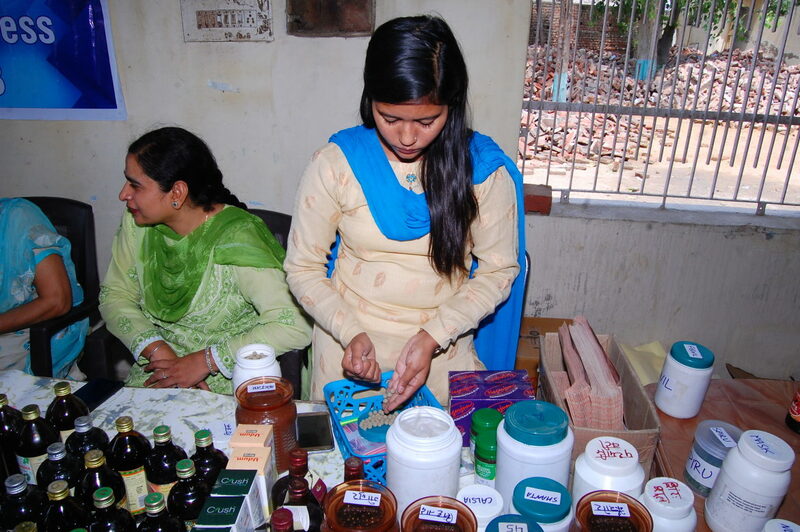 The Ayurvedic Practitioners also prescribed medicines to the needy Artisans. A special session on Nutrition Literacy was held by Dr. Gurupdesh Kaur, our Independent Advisor from Punjab Agricultural University. These messages were reinforced by the visiting Optometrists who shared with the Artisans that a high-fat diet can also lead to Diabetic Retinopathy and further worsen their/their family's vision. The importance of Personal Hygiene was also emphasised upon and how a simple act of washing hands with an antibacterial soap can help prevent infections and common diseases like cold, eye infections and diarrhea. 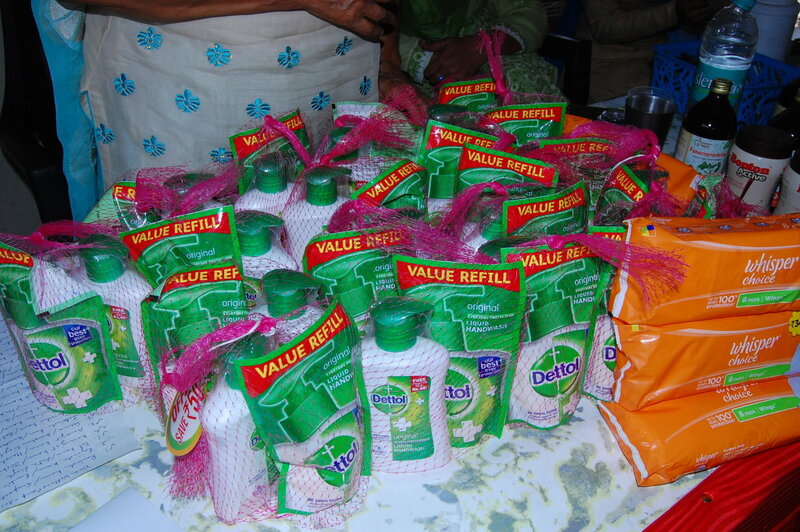 To facilitate this, handwash products were distributed to the Artisans. Also, one of the main focus of this camp was on Women's Reproductive Health and Hygiene. 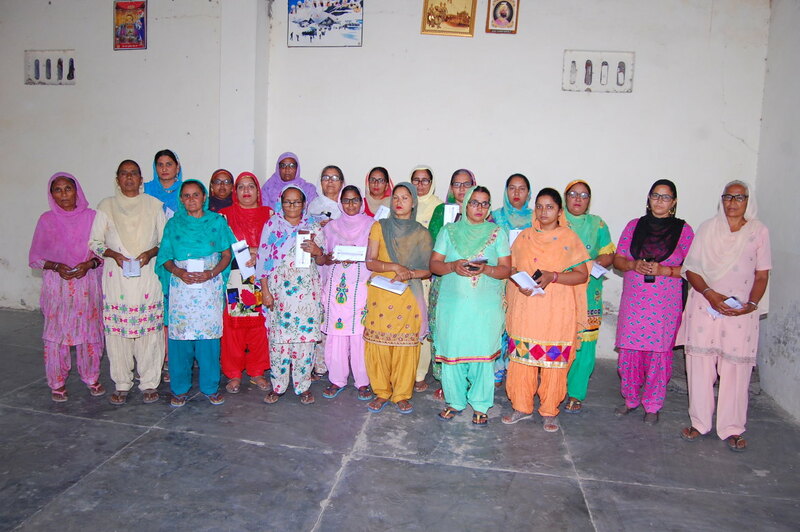 Sanitary Napkins were distributed to the artisans of childbearing age. They were specifically made aware of how to use these products and that it was important to carefully dispose them off. Rural Indian women continue to have poor access to Feminine Hygiene products and often use cheaper home-made alternatives such as cloth or cotton etc. Affordability continues to be a major barrier. Funds for this 1st Health & Wellness Camp were made possible through the Milaap International Fundraiser. We raised >100,000 INR, which goes a LONG way in rural Punjab. Virsā thanks all our generous donors for their valuable contribution and request their continuing support for this noble cause. We will be holding our next Nutrition Awareness Intervention in the month of August. A big thanks to Milaap.org for their Crowd Funding partnership and for ensuring the entire process has been very transparent, professional and user-friendly. While I am doing this my husband tells me to be careful that this may cause some problems or misuse. Confirm that this is not so please. The work is wonderful -- I am a founding member of Sankara eye foundation 2/3 times over one in Punjaab too!